This weekend we celebrated a birthday and this was the request for “cake”. 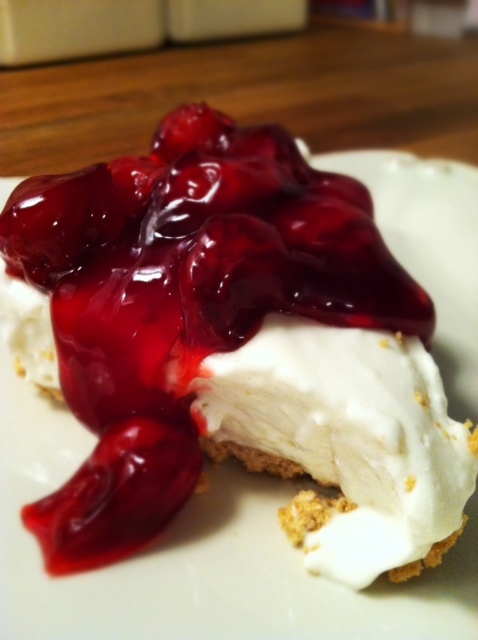 Obviously this is not a fancy recipe but it is a house favorite and since it is so easy I am sharing with you! This recipe is not healthy or natural (clearly I am not a salesperson)but it was the request of the birthday haver and I obliged. It is a treat and that is what birthdays are all about. Yes? 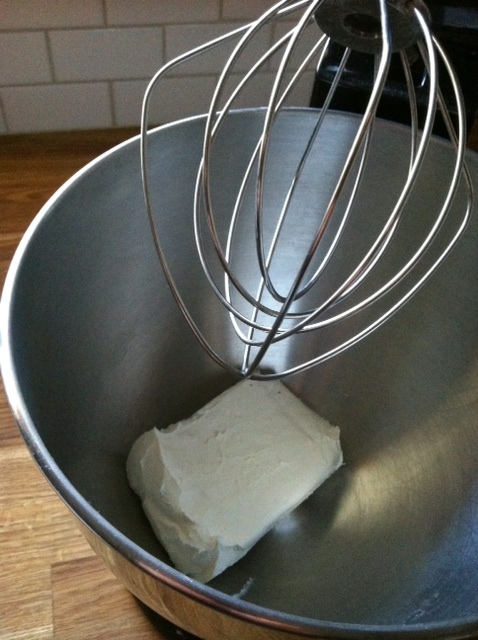 You start off by whipping the cream cheese in a standing mixer or with beaters. 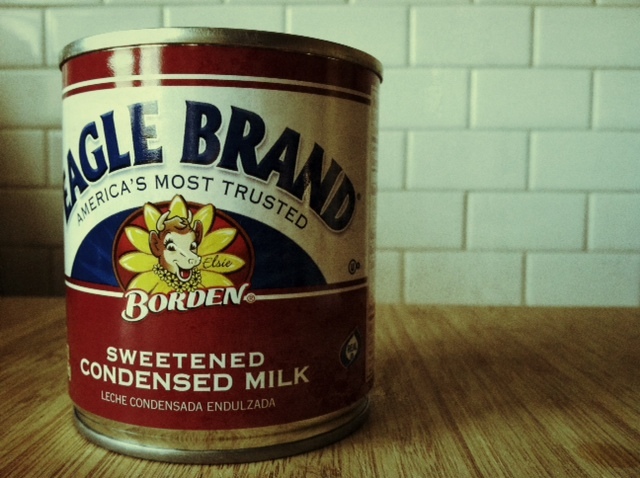 To that, you add sweetened condensed milk. 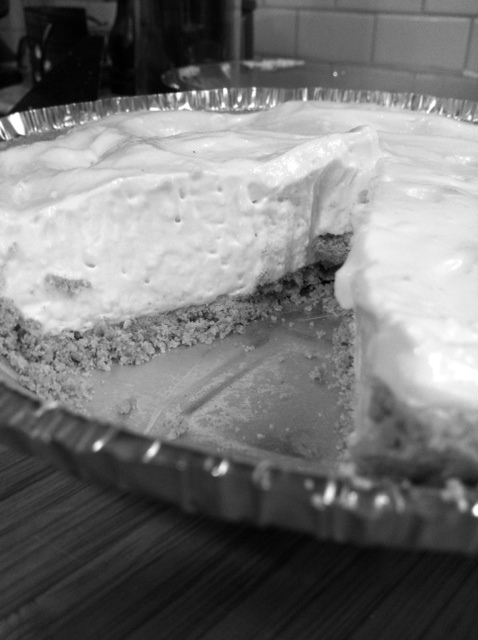 You could get fancy if you like baking and make a homemade graham cracker crust but I took a helping hand from the Keebler elves. After you have let it set up in the fridge, you just top with your favorite fruit topping. The time I chose cherry. 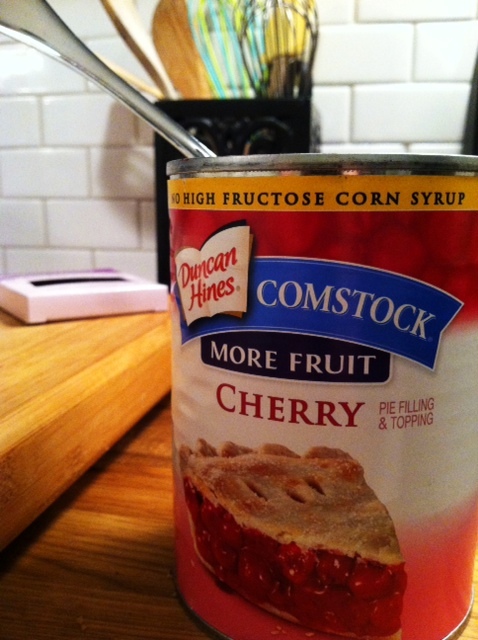 (i use Comstock brand). Here’s to health and happiness through another year. Enjoy! 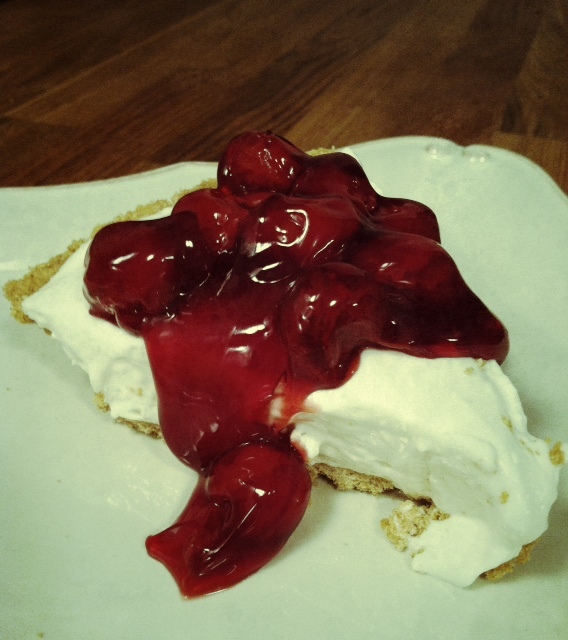 beat cream cheese on medium speed until smooth. 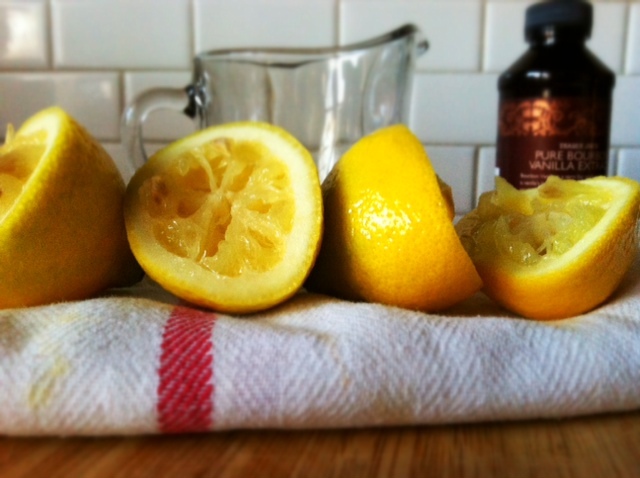 add sweetened condensed milk, lemon juice and vanilla and beat until well combined. 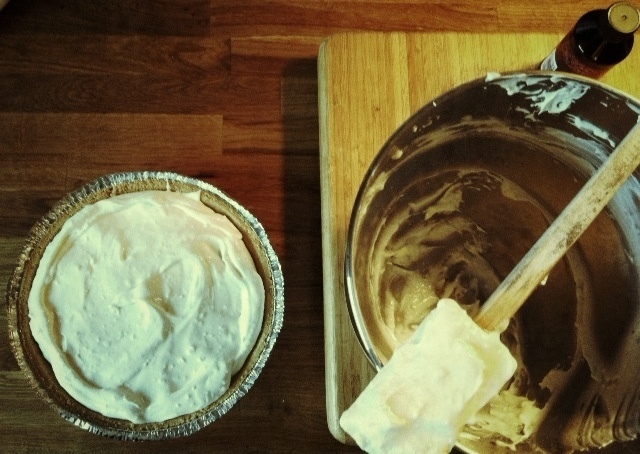 pour into pie crust and cover. let the pie set in the fridge for two hours. top with fruit.